For what is likely to be my last letter to the editor of 2016, see today’s Vancouver Sun (fourth letter from the top). The gist of my argument is that Kinder Morgan is bad. Fun fact: this ain’t the first time I’ve responded to a pro-Kinder Morgan op-ed by former NDP Premier Dan Miller. Not two weeks since the federal government’s long-anticipated approval of the Northern Gateway pipeline, the magnitude of the obstacles faced by the project are becoming clearer by the day. There is widespread public hostility — both in Kitimat, envisioned as the pipeline’s end location, as well as across British Columbia more generally. First Nations and environmental groups have launched several court challenges, with more expected to come. Massive protests and civil disobedience are inevitable. Efforts will soon be underway to initiate a province-wide referendum. The government of BC, which must provide about 60 permits, is ambivalent about the pipeline at best, while federal opposition parties are promising to reverse the project’s approval if they win next year’s election. All this in addition to the much-ballyhooed 209 conditions. Nevertheless, as rosy as matters may look from certain angles, victory is far from assured. The entrenched power of Enbridge and its political backers in Ottawa and Edmonton is nothing to scoff at, and pipeline opponents would do well to take a step back and consider why exactly they are opposed. I say this because in the coming months, British Columbia will be bombarded by relentless propaganda (as though we haven’t had enough already) claiming that Enbridge has heard our cries of protest and will commit to building the greenest, most environmentally responsible pipeline it can build. The threat of bitumen spills on land and at sea will be neutralized. The company will meet and exceed provincial demands for “world-leading” response, prevention, and recovery systems. Never mind for a moment the disingenuousness of such attempts to deflect and to co-opt. Never mind Enbridge’s less-than-exemplary record on oil spills. Such promises, even if true, are irrelevant because they fail to address the proverbial elephant in the room, climate change. The fight against pipelines is not just about our wilderness, our rivers, our coastlines — vital though these are. It is about the planet-wide impact of dangerously accelerating tar sands expansion, a process that Northern Gateway is meant to facilitate. According to current projections, if warming is to be kept within the two-degree limit pledged by world leaders at Copenhagen, global greenhouse gas emissions must peak some time before 2020. Such a scenario is not consistent with the continued building of large-scale fossil fuel infrastructure with decades-long lifespans (at least not here in the developed world). Virtually every new pipeline, oil refinery, LNG facility, or coal-fired power plant is another nail in the coffin of climate stability. It is possible to disagree reasonably about how rapidly to phase out existing infrastructure, how aggressively to tackle the transition to wind, solar, tidal, geothermal, and other renewables. But at the very least, at this stage in our history, to continue full speed in the opposite direction without a care for the consequences should be unthinkable. That — in addition to the risk of spills — is what’s wrong with Northern Gateway. That is why we can’t let them win. This post appears on rabble.ca. 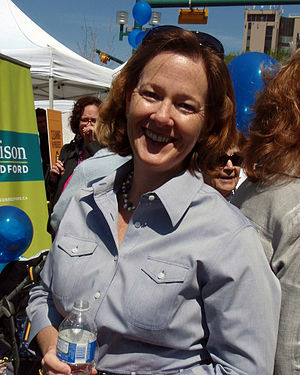 If Alison Redford gets to define Canadian patriotism, then I don’t want to be patriotic. The Alberta premier yesterday accused federal NDP leader Thomas Mulcair of “a fundamental betrayal of Canada’s long-term economic interests” after the latter took a trip to DC in what is being widely interpreted as an effort to convince the Americans not to approve the Keystone XL pipeline from Alberta. The message is clear: because he is not quite as keen on expanding the tar sands and exporting bitumen as the red-and-white Tories of Edmonton and Ottawa, Thomas Mulcair is nothing but a Canada-hating socialist antichrist. Patriotism is usually defined as love of country, but fossil fuel enthusiasts prefer to conflate the notion with love of whatever the government happens to be doing on the international stage. This redefinition, historically, is a common one, eagerly leapt upon by all who agree with the government line and seek an easy way to demonize their opponents. Others take a different approach, conceiving patriotism as something more akin to identification rather than unquestioning acceptance. A true patriot, in other words, identifies with her country to such a degree that she feels proud of its accomplishments and, equally, remorseful for its wrongdoings. A patriot believes he shares responsibility for all that his country does in his name. A patriot refuses to stay quiet when her government puts climate stability and the well-being of future generations at risk. By this definition, protest is patriotic. Critical thinking is patriotic. Dissent is patriotic. Under some circumstances, even civil disobedience is patriotic. It is clear which kind of patriotism Alison Redford et al. stand for. How about you? 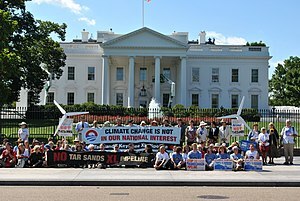 As a concerned Canadian, I am writing to urge you to reject TransCanada’s application to build the Keystone XL pipeline for purposes of transporting dirty oil from Alberta’s tar sands to refineries in the United States. I assure you that not all Canadians are quite as eager to export climate-busting bitumen as our federal government seems to be. Many of us recognize that the high energy demands required to exploit this unconventional resource give it a dangerously large carbon footprint. For this reason, we consistently oppose similar projects, such as proposed pipelines to the Canadian West Coast by Enbridge and Kinder Morgan. According to estimates of greenhouse gas trajectories needed to avert runaway climate change, global emissions need to be peaking right about now (if not earlier). That means that we as a planet need to start drastically decreasing our use of coal, oil, and natural gas. At a bare minimum, we must not engage in further expansion of existing fossil fuel infrastructure — especially when it involves something so exceptionally dirty as tar sands bitumen. Many Americans seem to recognize this too. Barely a week ago, tens of thousands gathered in Washington for the country’s largest ever climate rally. Earlier this year, the Sierra Club agreed for the first time in its 120-year history to adopt the use of civil disobedience. Any jobs that may or may not temporarily be gained from the proliferation of pipelines are more than outweighed by the jeopardization of the climate system upon which agriculture, forestry, and our very ways of life depend. So please reject TransCanada’s application once and for all. To do so would benefit both of our countries, as well as the world at large. 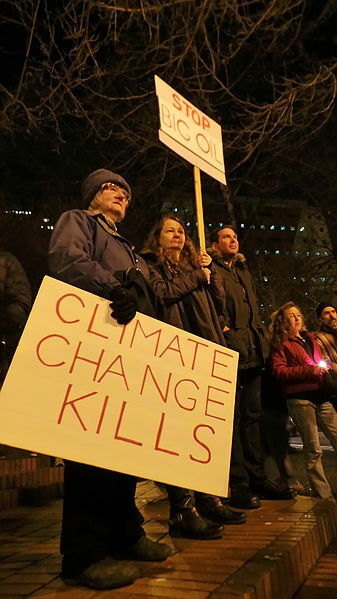 Last week, world-renowned University of Victoria climate scientist Andrew Weaver, lead author of several IPCC reports, shocked friends and enemies alike by publishing an article in Nature Climate Change in which he makes an unexpected claim. He and co-author Neil Swart (a UVIC PhD student) find that Alberta’s Athabasca tar sands have a surprisingly small impact on the Earth’s climate. According to the numbers they provide, burning all the oil from the tar sands (or “oil sands” to be polite) would increase global temperatures by 0.36 degrees Celsius — hardly an insignificant amount. However, the more pertinent measurement is of economically viable tar sands oil, which would raise temperatures by only 0.03 degrees Celsius. By contrast, burning all the world’s coal would warm the planet by 14.8 degrees Celsius. We have seen the true face of environmental villainy, crows Canada’s right-wing media echo chamber, and unconventional Albertan oil it ain’t! First, as Weaver says up front, these numbers take into consideration only the warming caused by burning tar sands oil, not that caused by the energy consumption needed to extract, transport, and refine it. This apparent oversight is actually a procedural necessity meant to avoid double-counting emissions, and is therefore fully defensible as a feature of the study. However, the energy intensity of tar sands production is a large part of why the resource is considered “dirty.” If such considerations are included, says Weaver, the global warming effect of tar sands oil increases by 20 percent. Second, why are we so surprised that the negative impact of one fossil fuel project in one province should pale in comparison to that of all the coal reserves in the world? 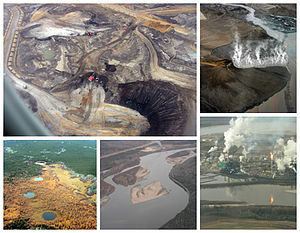 The more appropriate comparison would be between the tar sands and another project of similar size. To his great credit, Weaver has been hard at work trying to put his results in context. He emphasizes that the tar sands are Canada’s largest source of greenhouse gas emissions growth, that they are a symptom of a much larger problem, and that it is urgently important for us to wean ourselves off of all fossil fuels. He also acknowledges the profound ecological damage, measured by more than just climate impact, that is caused by tar sands exploitation. In the end, Weaver’s research represents all that is best in science — the unbiased pursuit of knowledge for its own sake regardless of what is uncovered. We should embrace his findings for what they are, and fight the attempts by fossil fuel apologists to twist them into something they’re not. If only polluters were to demonstrate so unshakable an allegiance to the truth as this, we would probably not find ourselves perched so close to the edge of ecological catastrophe in the first place.